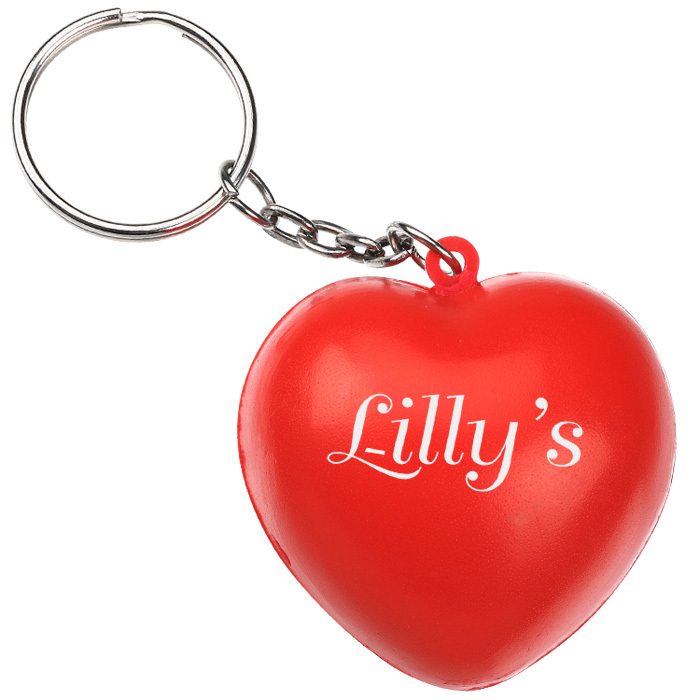 Keep customers stress free with this soft, squeezable heart-shaped stress keyring. A handy and practical promotional giveaway, it can tie in many promotional themes - the heart could mean thanks or equally work well in a health related promotion. For orders of 250 keyrings or less we also offer an express service on this item. Price includes a 1 colour print in 1 position to the side of the keyring.